Aiphone emergency solutions include towers and wall boxes featuring built-in UL Listed electrical boxes. These boxes easily satisfy local electrical codes and include integrated mounting hardware for power supplies or accessories. An optional CCTV camera arm module can be included to provide an enhanced view of Aiphone's video intercom's identifying view. Easily wire any tower using the rear access panels to pull wire from top to bottom. Aiphone's unique modular tower design saves money on shipping and reduces installation time and expenses. 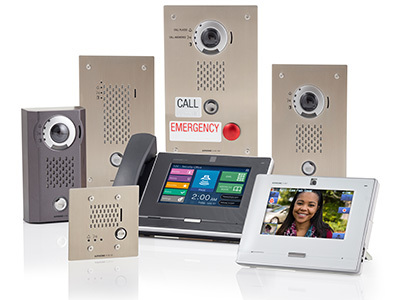 Choose one of Aiphone's two specialized emergency solution intercom systems for communication needs. The IX Series is ideal for facilities looking for a peer-to-peer network solution. The IS Series is best for those who prefer a system that does not require a network. Our free service allows you to generate complete equipment lists 24/7! Save system lists to your profile for future reference or download them to include with proposals.